The new Dragon Ball Z/Super fighter will join the rest with its own character pass. Dragon Ball FighterZ came out of nowhere to become one of the most anticipated upcoming fighting games. Now we know when "upcoming" is exactly. Bandai Namco announced today that Dragon Ball FightersZ will be coming to PlayStation 4, Xbox One, and PC on January 26, 2018. As part of the release date reveal, the game has gone live live for pre-order in several places. Over o the Microsoft Store, there's a pre-order up for the Ultimate Edition of the game. For $109.99, players get the game itself, a music pack with 11 songs from the anime, a commentator voice pack, and the previously-unmentioned FighterZ pass. The FighterZ pass looks to be the standard fighting game Season/Character pass, offering "8 new characters". Those new characters will join a roster that already contains Goku, Vegeta, Gohan (Teenage), Trunks (Future), Krillin, Piccolo, Android 18, Android 16, Tien Shinhan, Yamcha, Frieza, Cell, and the Super Saiyan Blue versions of Goku and Vegeta. 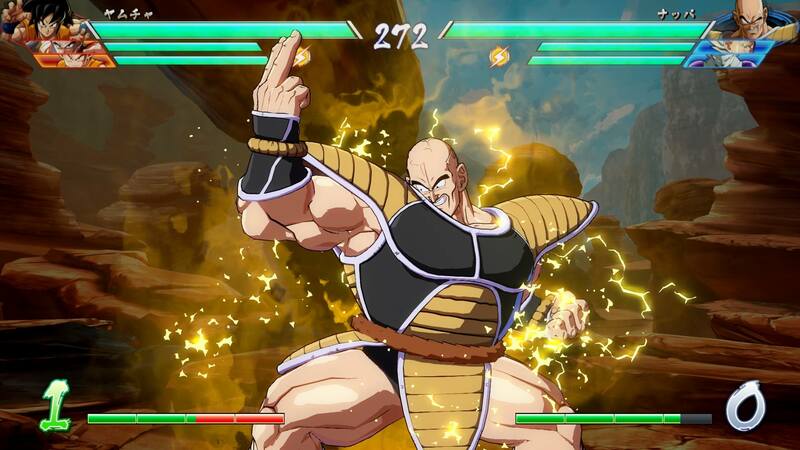 Nappa and Captain Ginyu were also announced by Bandai Namco 2 days ago on Facebook, rounding out the current official roster. So who do you want to see added in the character pass? Tagged with Arc System Works,	Bandai Namco Entertainment,	Fighting,	News,	PC,	PlayStation 4,	Xbox One. How much Goku do we need?